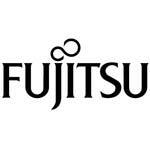 ScanCare is the premium service program offered by Fujitsu. The ScanCare program combines basic on-site service with preventative maintenance (PM), consumables and user training for Fujitsu scanner customers. On-site repair service includes spare parts, labor and travel for verified hardware failures. Select Next Business Day (NBD), 4-hour or 24/7 Response time (contract prices vary). Service is available across the United States, except certain Hawaiian Islands and areas of Alaska. On-site service is performed by a Fujitsu Authorized Field Service Engineer (FAFSE), either a Fujitsu employee or professionally trained Authorized Service Provider. On-site service outside the hours specified above may be available for rates and terms then in effect. Outside of PM events, on-site visits do not include preventative maintenance, maintenance training, consumables and cleaning materials, troubleshooting of software configuration, applications or set-up. Preventative Maintenance is a FAFSE schedules an on-site visit to thoroughly clean and replace any necessary consumable parts from the pre-shipped ScanCare kit. Service will be provided during normal business hours at a time to be mutually agreed upon between the FAFSE and customer within 2 weeks of initiation.